Parents, do you want to motivate your child? Coaches, do you want to motivate your students? Players, do you want to motivate yourself? It's simple. Don't try. Huh? Motivation is tricky business. To motivate a player you must keep in mind that you are dealing with a player's volition, his own ability to decide one way or another. 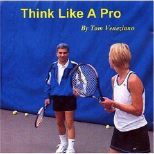 The player chooses to go to the courts, he chooses to hit more tennis balls, he chooses to intensify his training. If that choosing mechanism is not turned to positive, your inspirational speeches will have a short-lived motivating effect. Motivation is part of a package deal. Coaches and parents can slowly nudge it along, leading a player to higher levels of motivation, simply by creating the correct environment for motivation to happen by itself. Here is how it works. A player who comes for weekly lessons may enjoy playing, but the player chooses not to exert that extra mental energy needed to drive a little harder. You give endless motivational speeches, but nothing really changes. The player's attitude is not changing because there is more going on behind the scenes. Two more variables are critical to the motivation process. First, the player plays in monthly tournaments in which he or she either wins or loses. Second, that player has a confidence factor in which he or she can either win or lose! So not only does this player have lessons with you every week, but the player also plays those tournaments every month which affect his or her mental attitude. The player comes back from every tournament after losing in the first round or occasionally getting by one round. The player's very shaky confidence means his or her motivation is barely surviving. What to do? 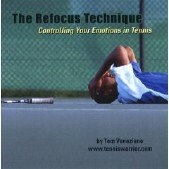 You must get the player back in the grind of hitting tennis balls. The environment you create, with lots of repetition and hard work, becomes the player's safe haven. You encourage the player to keep pressing forward and remind the player that losing is all part of the process. In this environment, the player will eventually break through on his or her own. No need to send the player to a sports psychologist or spout endless motivational speeches. This player, like all players, must learn to work through the process that creates champions. As a coach you are there to take an actively passive role in guiding the process. The motivation has to come from the player. Meanwhile, unbeknownst to that player, he or she is getting better! I say unbeknownst to that player because most players who lose in a tournament do not realize that they are improving. Remember, players tend to incorrectly pair winning with doing things right and losing with doing things wrong. But if you have them on the right path, the reward will come! Now, months later, this same player goes into a tournament thinking gloomily, "Here I go again." This time however the player is shocked to win back-to-back matches. And in the next match the player loses by a narrow margin. That player immediately begins to think, "I can play with these guys. I'm not that bad. If I put my mind to it, I can excel!" This boost of confidence is immediately followed by, "I need to train harder." With increased confidence, the player leaves the tournament motivated to go to work. This scenario--concentrated repetition culminating months later in back-to-back wins and increased motivation--is crucial for a player's development. Why? Because that player now realizes that constant training even while losing matches will lead to success and victories. This is a huge mental advantage that will help the player through future challenges. Make no mistake about it, forcing the perfect technique or the perfect stroke takes a distant backseat to developing the correct mental attitude and motivation through this process. As a coach, a parent, or even as the player, you should master the art of guiding the process without getting in the way. Motivation will take root and grow. All you do is create the right environment, set up the process, stay grounded in the weekly training and watch all the variables come together.